All orders placed will be clarified over the phone by me if needed and altered if applicable before going into the build system. This will make sure any input mistakes and found and rectified. Please text me before ordering if you like on 07905256747 and I'll call you back and guide you through the order process....easy. 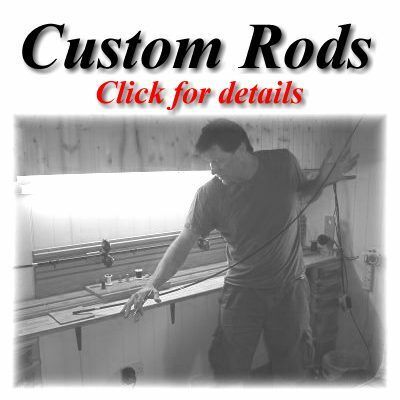 Rod build times are usually between 1 and 2 months. I will contact you when the order in complete to arrange pick up or delivery. If your order is not ready after 2 months I will contact you giving details of the delay, and options available. I’m unable to offer and update service before this time due to the considerable slowing affect it would have on build times. I try to run an efficient workshop and the less “admin” I do the quicker the build times are.